In 2016 the Bank provided a €10 million loan to Moldova’s capital Chisinau to improve the energy efficiency of its public buildings. This was the first transaction under the EBRD’s new Green Cities Framework. EBRD funds will finance the renovation of over 100 buildings. According to the Bank’s estimates, investments in insulation and efficiency of building service equipment such as heating, ventilation and air conditioning systems can achieve energy savings of up to 50 per cent. In Chisinau, municipal buildings such as kindergartens, schools and hospitals represent a source for considerable energy efficiency. Refurbishment of public buildings is expected to be supported by a €10 million loan from the European Investment Bank and a €5 million investment grant from the E5P Fund. 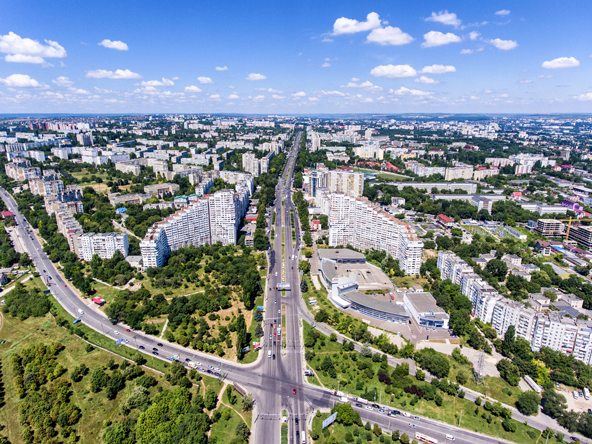 As part of the project, the EBRD, with grant funding from the government of Austria, will support the municipality of Chisinau to develop a Green City Action Plan to identify, prioritise and address environmental challenges.